Announcement <<Fast Shipping!>> Our turnaround time is same or next business day. 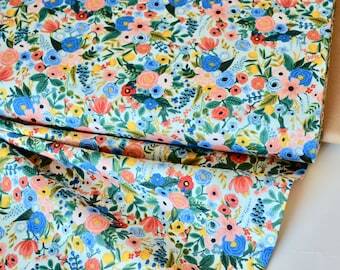 FABRIC: All our Organic/Cotton Designer's Fabric are available in many sizes from 1/4 yard to 1.5 yards. If need more than 1.5 yards add quantity. Multiple Yards will be cut as one continuous piece. Also we're open for custom orders. All of my digital patterns can be instantly downloaded. If you have a problem with the download please let me know via convo or email and I will send you your order through email. **Sunday is our "day off"....We will respond to you as soon as we can** Thank you! <<Fast Shipping!>> Our turnaround time is same or next business day. Organic fabric, yarn, knitting and crochet patterns, can all be found at https://www.etsy.com/shop/AACottonCreations. With us you can do everything yourself with the help of our products. Please have a look through our shop and message us if there is anything we can do to help you with an order or bundle.